Bella’s Entertainment Weekly Shoot Wardrobe Causing Confusion? June 12th 2012, Entertainment Weekly released a “sneak peek” photo of Bella, Edward, and Renesmee Cullen clad in outfits that seemed to compliment each other. We were told to check back the next day for a complete release of official movie stills as well as a couple of new EW Magazine covers. 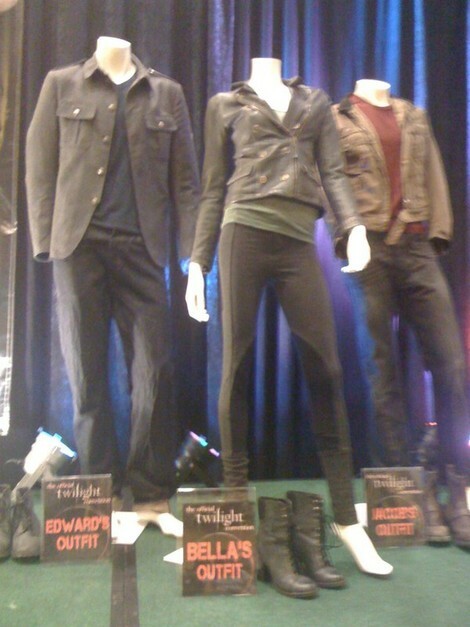 For some reason, when I read breaking dawn, one outfit in particular stood out in my mind (yes, spoiler alert!). When Bella goes to pick up the ‘legal (…not so legal..) documents’ for Jacob and Renesmee, she is describing an outfit Alice, no doubt, had picked out for her. The main piece being a cashmere dress. I obviously cannot say for sure, but it seems as though the dress Bella Swan is wearing on one of two EW covers COULD be the dress. I was so excited to see this dress as well as all the official stills, I COMPLETELY overlooked something rather important. I was having a very quick one on one chat with John Henson ( The Hillywood Show costume designer and owner of the official Twilight Costume Collection), when he brought up the main photo of Bella, Edward, and Renesmee. Incase a couple of us are a bit rusty, lets review. The Belstaff Double Breasted Zip Leather Blazer, Michael Stars Kasia Jobpur Pants, and finally, Steven by Steve Madden Isolate Lace Up Booties. Belstaff Double Breasted Zip Leather Blazer, Michael Stars Kasia Jobpur Pants, and finally, Steven by Steve Madden Isolate Lace Up Booties. !?!?!? John had brought it to my attention that those boots though at first glance look the same, may in fact be a completely different pair, if not altered. Coming from a man who owns a pair of the Isolate boots, he states that the ones from Twi-tour have a thick sole, while the boots’ soles in this picture have a thinner sole. The laces also seem to start further up on the [EW] boots. John went on to explain there seems to be an extra leather piece wrapping around the back that lace into the front, and the boots may not even have a heel. He then joked and said the designer could be toying with us twifashion fans. So… if these aren’t the Isolate boots… what are they? And if these aren’t the Isolate boots… will they be showing them in the movie at all? This entry was posted on June 15, 2012 by Inside Bella's Closet. It was filed under Breaking Dawn and was tagged with and finally, Bella Cullen, Belstaff Double Breasted Zip Leather Blazer, Breaking dawn, edward cullen renesmee cullen, Entertainment Weekly, john henson, kristen stewart robert pattinson, Michael Stars Kasia Jobpur Pants, Stephenie meyer, Steven by Steve Madden Isolate Lace Up Booties, Swan, The Hillywood Show, twilight saga. I was wondering if The belstaff jacket she wears is in “antique black” or dark grey? Some people over at cool spotters say its in black, but I want to get the right color before I get this jacket made for myself….thanks! Bella’s outfits are getting a bit more difficult to “copy” I feel. What websites do you know of/that you are watching make good replicas? I’m having a hard time finding any. Anyone know who makes the coats the Denali Girls are wearing in Breaking Dawn 2? I was just wondering if anyone knew where these pants and jacket were available for purchase? Or of any really good reproduction/look a likes may be sold? 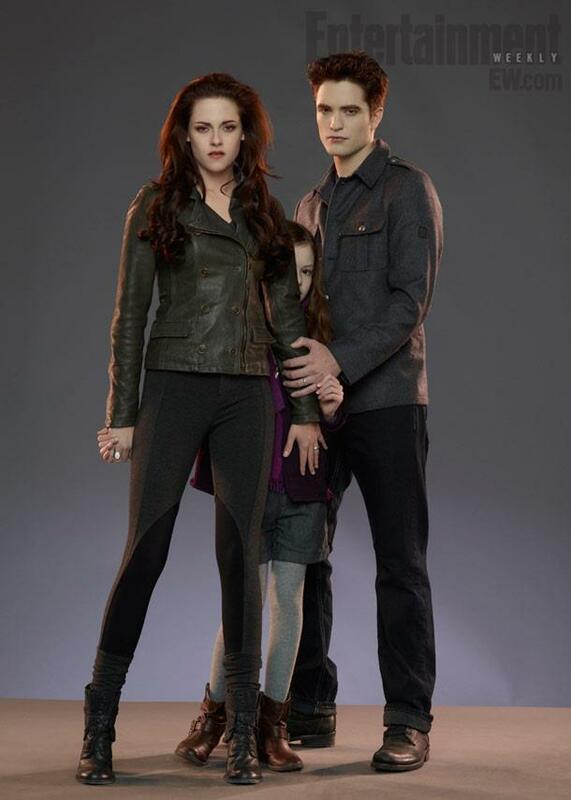 Also…does anyone know what Bella’s hair color, base, undertones, etc are when she becomes a vampire? Eeee! I think I found the boots Bella is wearing in the picture!